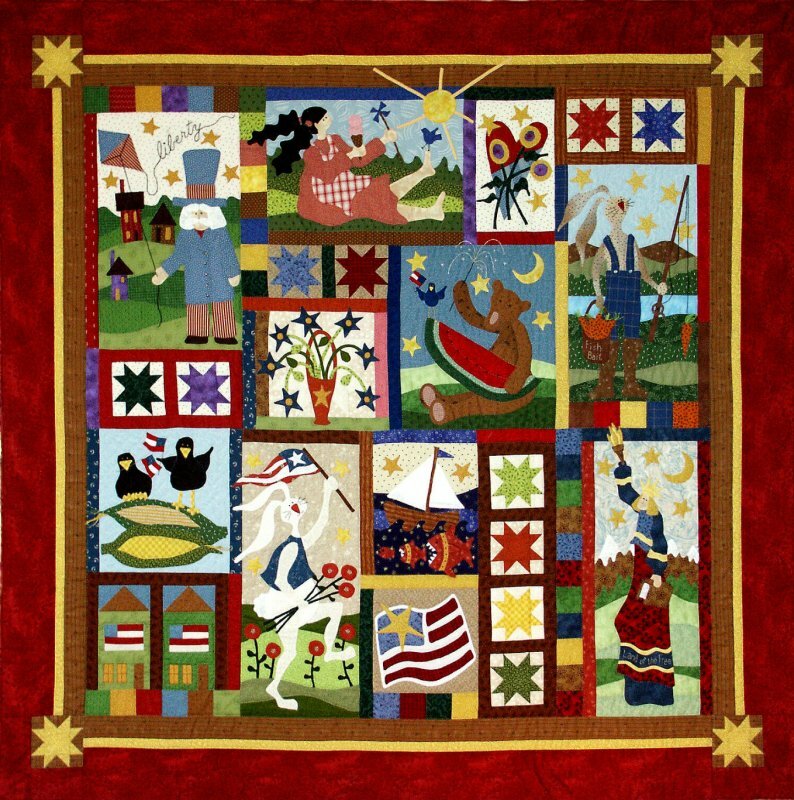 Summer Joy is a whimsical folk art quilt that celebrates the carefree, lazy days of summer. With watermelon, flags, Uncle Sam, marching bunnies, and fun galore, who could ask for more? The quilt is a block of the month with twelve individual patterns that will give you, when finished, a 61 inch square quilt to delight everyone! Summer Joy - Month Two: Fun in the Sun!